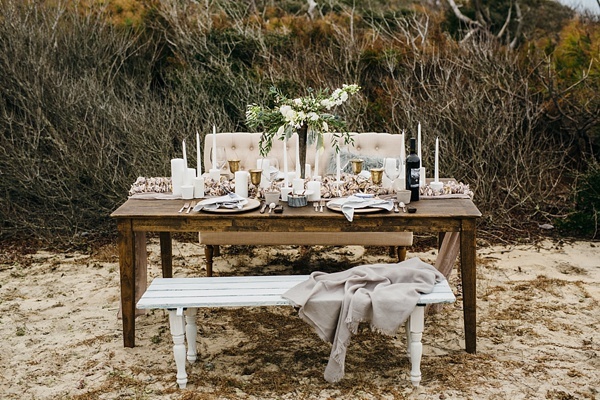 Sometimes certain wedding ideas just absolutely take our breath away, and this moody beach gorgeousness did just that! 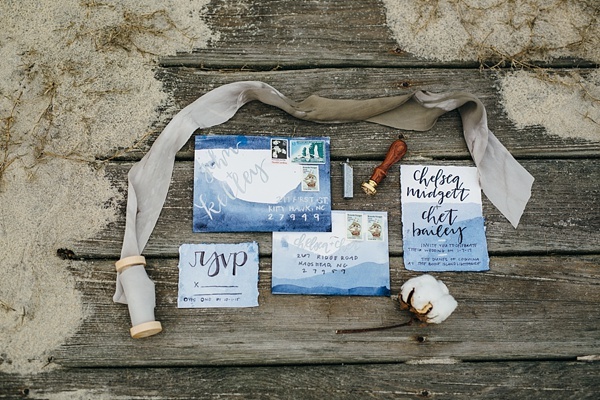 Inspired by the hibernation of nature in the Outer Banks, muted blues and browns serve as the richly toned color palette for this indie elegance. 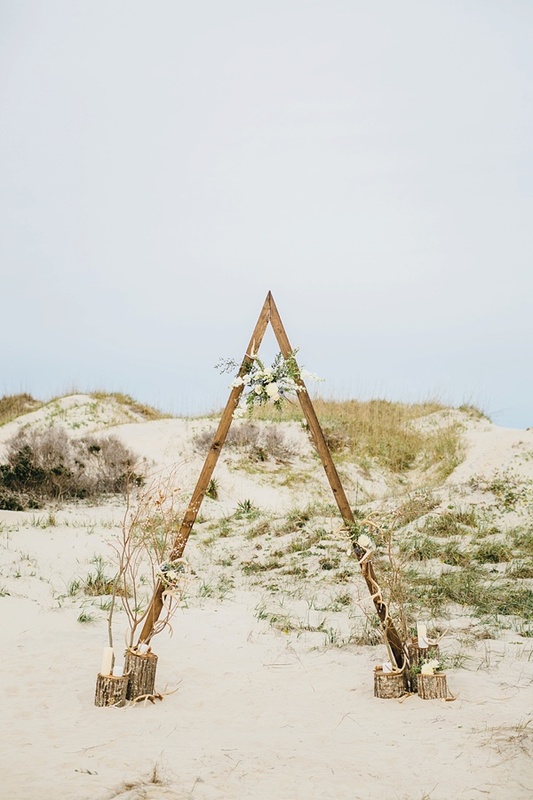 From a custom sea salt wedding favor station by Hatteras Salt Works to a minimalist ceremony arch from Amaranth & Artifact to hand dip dyed stationery lettered by Heart of Harlow to locally sourced goodies, everything shimmered with modern coastal love done differently. 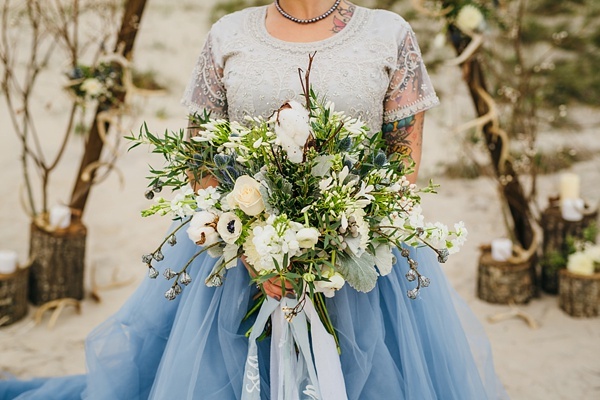 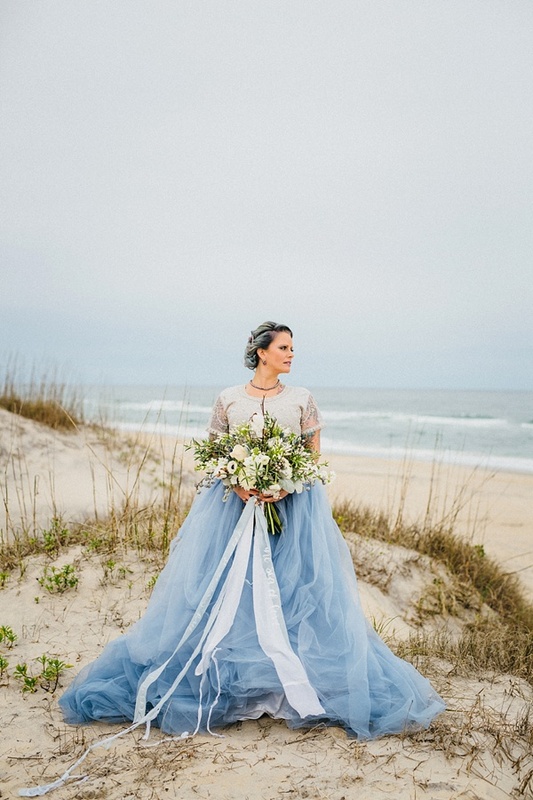 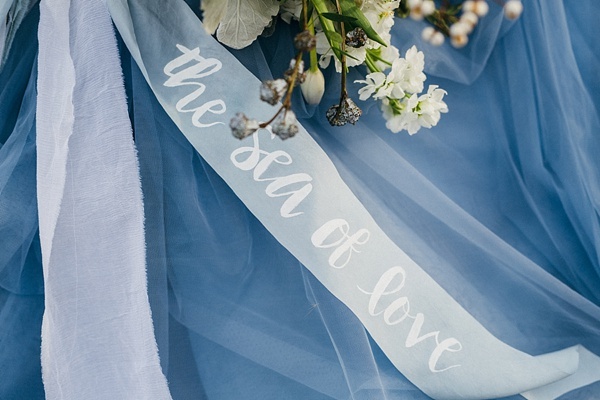 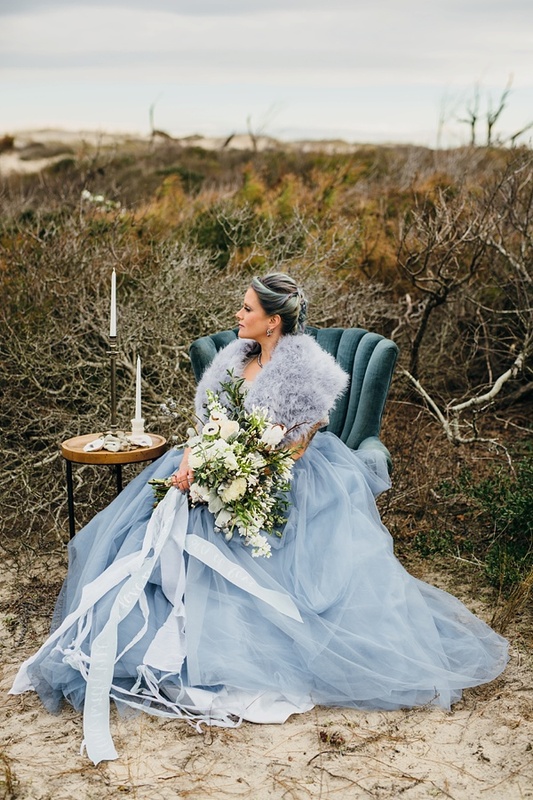 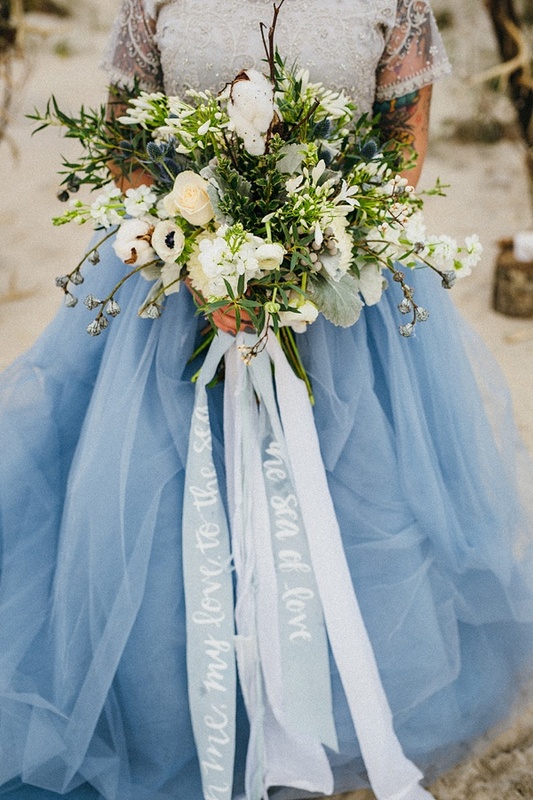 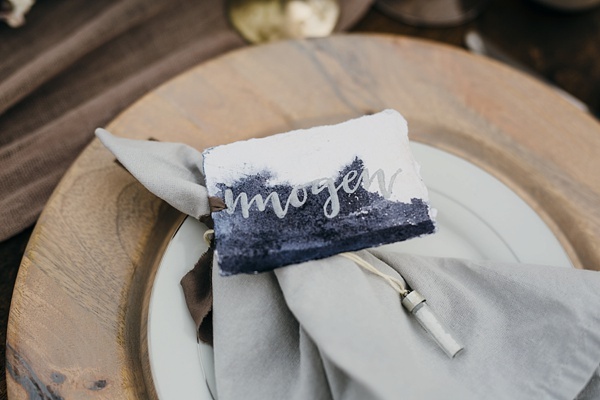 Captured by Sarah D'Ambra Photography and designed by a talented creative team of Outer Banks wedding pros, there is eye candy galore for couples looking to have an alternative beach celebration with the gray and blue hues of the Atlantic Ocean. 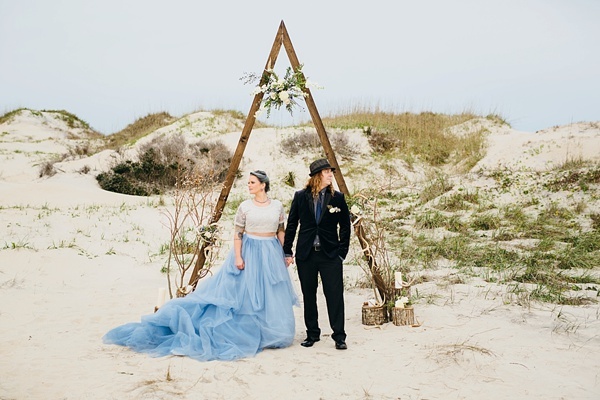 The vintage eclectic wardrobes for the bride and the groom mirrored the textures of all things water with their navy blue velvet suit, tiny pearl-embellished crop top, and waves upon waves of dusty blue tulle designed into a luxurious bridal skirt. 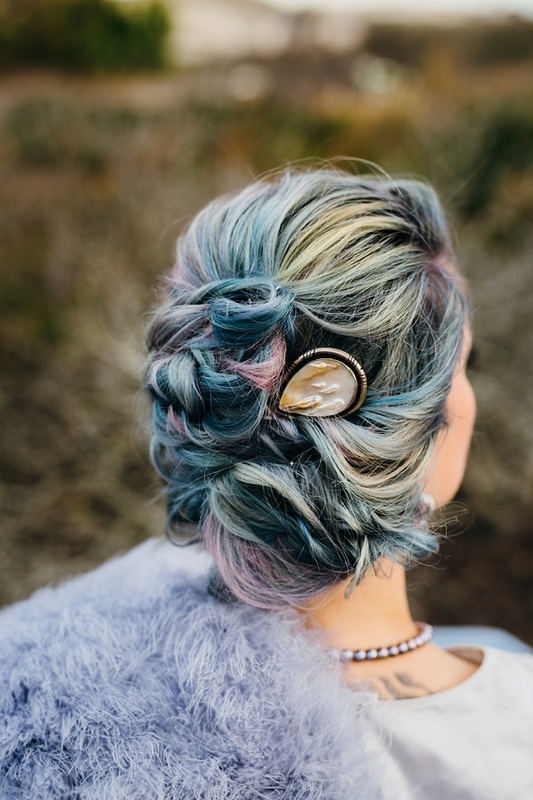 Salt Hair even dyed the bride's tresses to resemble the milky iridescent shades of an oyster shell! 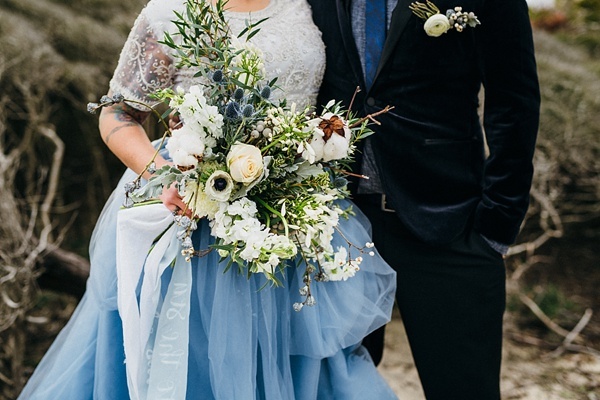 If that's not theme dedication, then we don't know what is! 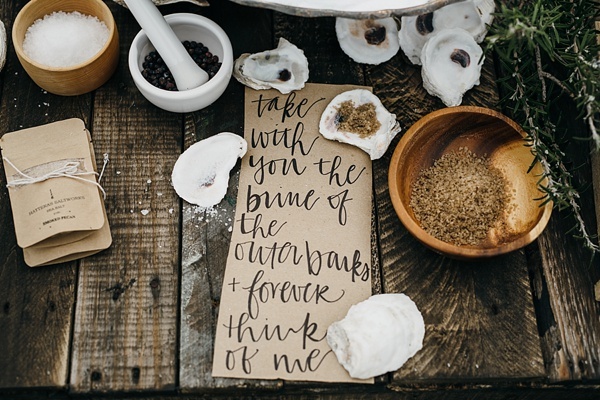 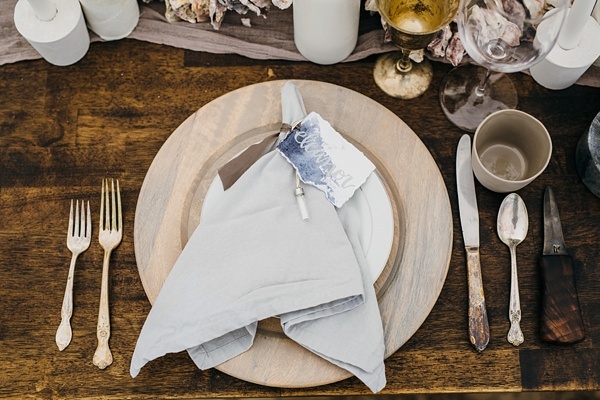 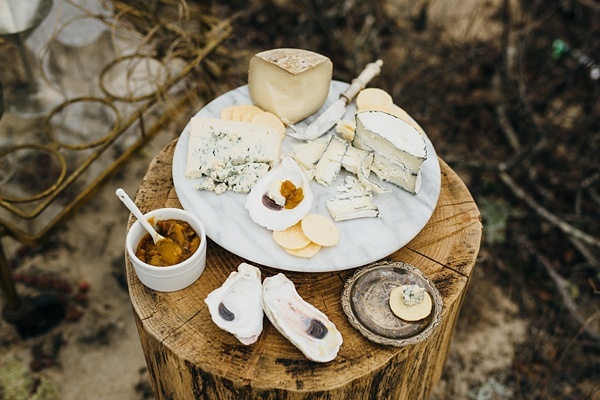 Between the earthy gourmet menu, the oyster shell table runner, and the wildly foraged bouquet style arranged by Honeysuckle Events, fall in love with the opalescent tranquility of off-season sandy shores. 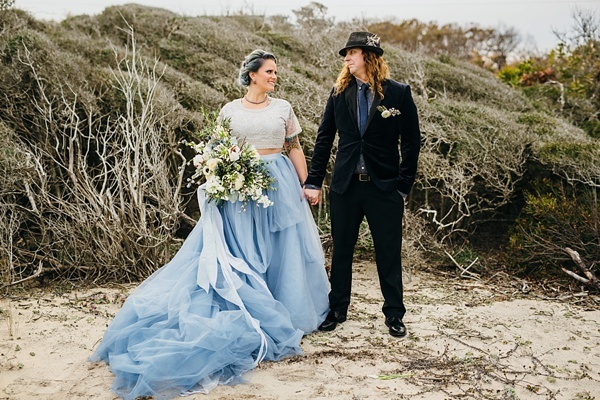 Photography: Sarah D'Ambra Photography | Styling and Florals: Honeysuckle Events | Styling and Rentals: Amaranth & Artifact | Hair Coloring, Styling, and Makeup: Salt Hair | Stationery: Blank Suite from FabulousFancyPants via Etsy, Dip Dyed by Honeysuckle Events, and Hand Lettered by Heart of Harlow | Hand Forged Oyster Knives: Nafzger Forged Knives | Rings and Wedding Day Gift: Mary John Ventre | Vintage Crop Top: Something Old, Something New OBX | Sea Salt Favor Station: Hatteras Salt Works | Gourmet Cheese Plating: Trio Wine Beer Cheese | Catering: Ocean Boulevard Catering | Local Wine: Sanctuary Vineyards | Ribbons: Honey Silks and Co.